BlueHost and 1and1 are both among the more popular hosting services on the web. Figuring out which to use can be difficult, though, if you don’t have all the information. The goal of this 1and1 vs BlueHost comparison is to provide an objective look at the two services by comparing their performance, prices, features, customer service, and usability. Neither BlueHost, nor 1and1 offer anything special in terms of performance. BlueHost works about as well as the average host in terms of speed of delivery, but only barely. 1and1, on the other hand, generally spends its time with the bargain-bin hosts. BlueHost can certainly offer better performance at its higher cost tiers, but 1and1 tends to be the same across all pricing levels. Reliability is where the two part ways. BlueHost notoriously spent a full day down at one point, and its reputation has never really recovered. 1and1, on the other hand, has never experienced any kind of significant downtime. The winner on this count is clear. It’s tough to compare BlueHost and 1and1 just on a pricing level, because they tend to target very different audiences. It’s a given that 1and1 is cheaper, if only because that’s one of their major selling points. BlueHost, though, offers many more solutions – it’s shared plans are in the same general price range as 1and1, but it offers much more expensive dedicated plans. As such, it’s hard to give either an edge when it comes to price or features. 1and1 has features for small business owners, but BlueHost has something for everyone. If we judge simply by what do, though, 1and1 gets the edge for being cheaper. 1and1 offers some fantastic security protection – but always at a cost. If you subscribe to the right packages, you’ll get a solid SSL certificate. If not, you’ll pay $49 a year for the same privilege. The company also offers SiteLock to protect sites, but again at an extra $.99 or $4.99 per month. It’s a good security feature, but it doesn’t come cheap. BlueHost blows away the competition in terms of security options. From options available to help turn away DDS attacks to great anti-malware tools, it has it all. Perhaps most importantly for this conversation, it also offers an SSL certificate for WordPress without charge for its subscribers. While Bluehost doesn’t necessarily win on the basic pricing, it is a clear winner when it comes to providing security at a reasonable price. 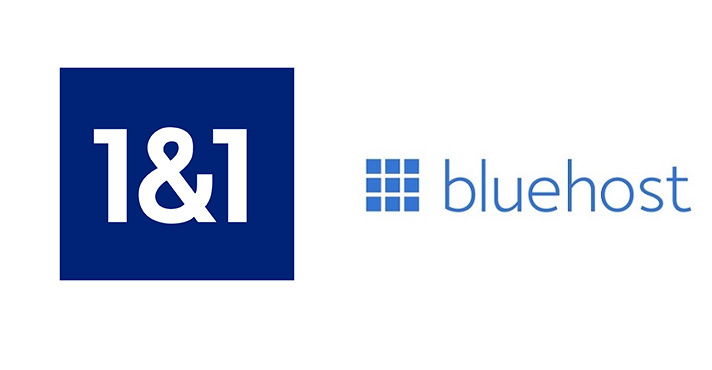 1and1 and Bluehost both offer their customers a wealth of options. In fact, it might even be said that 1and1 ends up offering more technical choices. That’s great, but the fact is that 1and1 is incredibly hard to use – especially if you don’t have a lot of website building experience. BlueHost is very good about holding the hands of its users, even though it does offer some fairly advanced features. Nothing’s hidden away by BlueHost, and you’ll immediately find that for which you are looking. In the end, this is a fight that comes down to usability and it’s absolutely one that BlueHost wins. 1and1 and BlueHost have remarkably similar approaches to customer service. Both companies are available by phone, which is a rarity in a world that prizes online communication above all. Unfortunately, both also tend to use phone communication as a way to weed out the simplest of all problems. Your experience with both on the phone will probably be frustrating at first, but both improve significantly once you get past the first tier of customer service. BlueHost is definitely much better at holding a user’s hand when putting together a site. While 1and1 offers most of the same options, BlueHost presents them much better. If you want to feel like a host is watching out for your site, BlueHost is the clear winner. While there’s strong selling points for both, the truth is that picking the winner here was easy. BlueHost simply offers a better overall solution, albeit one that will cost you more over the long run. Usability is perhaps the most important factor when it comes to hosting and BlueHost blows the competition away on that front. Thank you for reading our 1and1 vs BlueHost comparison. What do you think about these two hosts? How have your experiences been? Be sure to let us know by getting in contact with us.